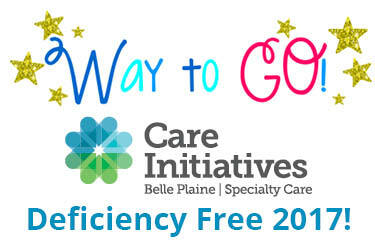 Belle Plaine Specialty Care is pleased to announce it has received a “Deficiency Free” result on its annual survey in January 2017 by the Iowa Department of Inspections and Appeals. This is the second consecutive year for a deficiency free survey. There are 412 nursing facilities in Iowa. Generally, only 5 percent are found to be deficiency-free.